ELVSTROEM (AUS) (Bay 2000-Stud 2005). 10 wins-1 at 2, Victoria Derby, Gr.1. Sire of 484 rnrs, 286 wnrs, 12 SW, inc. Hucklebuck (VRC Emirates S., Gr.1), Carrara, Outback Joe, Go the Knuckle, Shanghai Warrior, Viking Hero, Brilliant Bisc, Instalment, King Creole, Innocent Gamble, Kullu, Viking Legend, SP Danestroem, El Spark, Throw the King, Don't Get Excited, Gold Medals, Goodpack, Langridge Street, Miss Elvee, Pull No Punches, The Other Harv, etc. Miss Kashosa (f. by Pillar of Hercules). 2 wins at 1000m in 2016-17 in Aust. Silent Arrow (Sing.). 4 wins from 1200m to 1600m, Singapore TC Class 4 H., Kranji D S., Lunar New Year S., Class 5 H., 2d Singapore TC The Hornet S., Cheyenne Dancer S., Mexican Rose S., Class 5 H., 3d Singapore TC Class 4 H., Engineering S.
Set the Bar High. Winner at 1400m in 2016-17 in Aust. Itz a Debacle. Winner at 2450m in 2016-17 in Aust. Mummacass. 3 wins. See above. Mr Miasma. Winner at 1400m in Malaysia. Funky Drummer. Placed in 2016-17 in Aust. Miasma. 4 wins. See above. Sistine. Winner at 2, STC Saratoga 2YO H., 2d AJC St Aubins 2YO H., 3d AJC Windbag H., STC Forest Lodge H., Craftsman H., Oatlands 2YO H.
He's an Angel. 14 wins from 1400m to 2050m, A$234,302, 3d Albury Cup. ANGEL ON HIGH (Godswalk). 2 wins. See above. SILVER GLADE (Kenmare). 6 wins-1 at 2-from 1200m to 1800m, A$213,750, VATC Autumn Classic, Gr.2, Dairy Farmers Milk H., Bond H., Cambria H., VRC Raveneaux H., 2d VATC Schweppes Cup, L, 4th VRC Debonair S., L.
DESERT LASHES (Reward for Effort). 8 wins-2 at 2-at 1100m, 1200m, A$236,600, to 2016-17, SAJC Redelva S., L, Schweppes Oaks Raceday H., Ubet H.
High Talaq. 5 wins from 1350m to 2000m, A$82,820, Darwin Guineas, Darwin TC Northern Territory Derby, SAJC Superior Air H., Deck the Halls H., 2d SAJC Surrender H., EV Kewney H., Hire Cars H.
STRAWBERRY FIELD (Encosta de Lago). 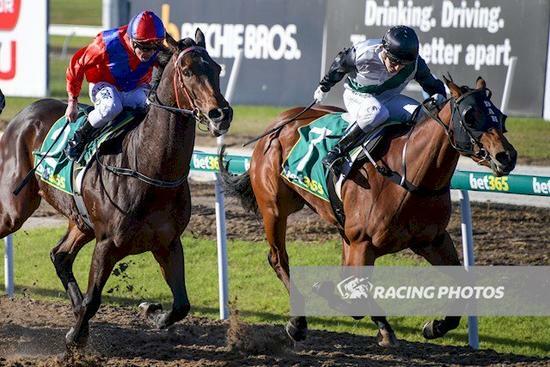 3 wins-1 at 2-at 1200m, 1400m, A$246,050, VRC Maybe Mahal S., L, STC Mobi Fridge Hire H., 2d AJC Keith Mackay H., L, Nivison H., L, Rose of Kingston H., 3d AJC Emancipation S., Gr.2, VRC Rose of Kingston S., Gr.2, 4th STC Queen of the Turf S., Gr.1, Millie Fox S., Gr.3. Producer. PELLIZOTTI (Stratum). 2 wins at 2, A$99,205, BRC Dalrello P., L, Ambassador Travel 2YO H., 3d MRC Blue Diamond Preview (c&g), L, VRC Maribyrnong Trial S., L. Sire. Race Record: 5 Starts 0-0-0 A$1,650.